Many telecom companies in Korea will ask you to present the Alien Card to get a SIM card and they won’t allow you to buy one if you are on a Tourist Visa. 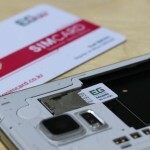 I was in this situation and I want to share with you an easy way to buy a SIM card online with EGSIM. First of all, I want to state clear that I don’t get anything for promoting EGSIM. I am a happy customer and I thought this information could be useful for people coming to Korea. If you enter in EGSIM website you can see the different plans that they offer. If you are happy with one of the plans you can simply follow the steps and checkout very easily. *You will need a picture of your password that you can take directly with your phone. After the first month you can top up 1gb of internet for 16,500₩ using the app. Also, you can buy credit for calls separately. There are different plans that include more gigabytes if you need more. *Note that the prices and conditions could have changed since this post was written. Home delivery: In my case, the delivery took less than 48 hours. Collect in store: EGSIM doesn´t have many stores. However, there is a store in Incheon Airport, which can be very convenient if you want to get the SIM card once you arrive to the airport. Click here for stores location information. You can easily top up your credit using their app available for iOS and Android and I guess others too. There is information about how to do it on the manual that comes with the SIM card and on the website.